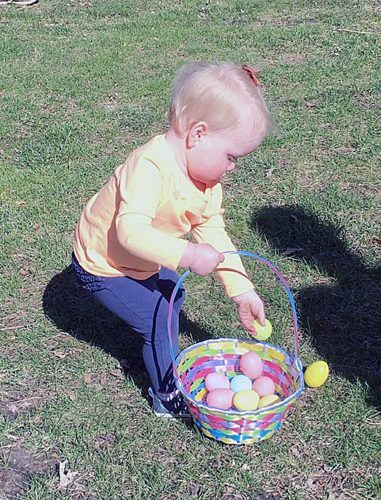 One-year-old Beckett Ratzke proved to be an excellent hunter for Easter eggs at the Williams Development event on Saturday in the Williams City Park. Over 2,000 eggs were scattered throughout the park for the 50 children participating. Humans Understanding Grief or HUGS will meet Wednesday at 9 a.m. at the Second St. Emporium. 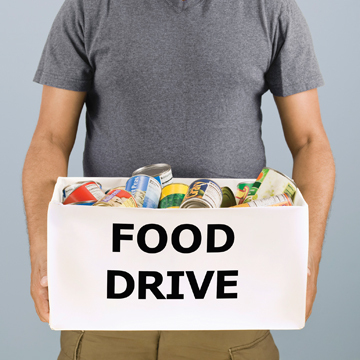 For more information, call Paula at 570-5266. 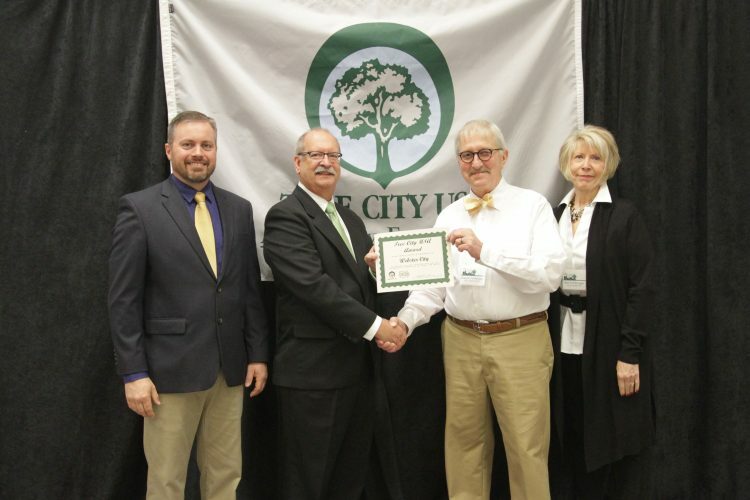 The Town and Country Garden Club will meet Wednesday, April 24 at 1 p.m. at the Main Street Garden. Bring garden tools to clean up garden. Hostesses are D. Swanson, L. Paine, J. Klucking, C. Entriken. 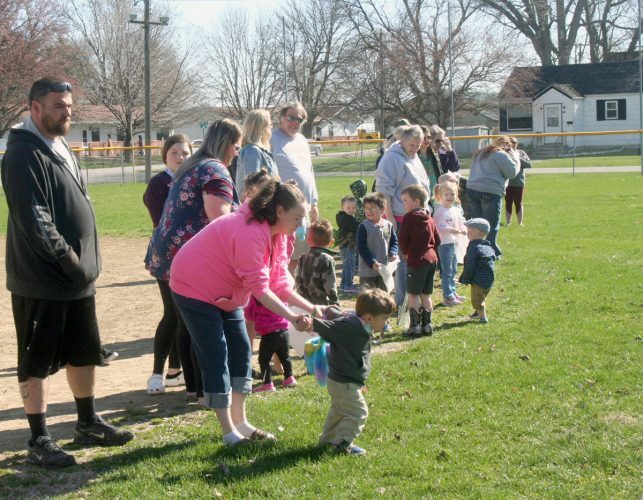 Two Easter Eggs Hunts in Northeast Hamilton County are scheduled for Saturday, April 20. The Blairsburg Easter Egg Hunt will be held at 9:30 a.m. at the Blairsburg City Park. 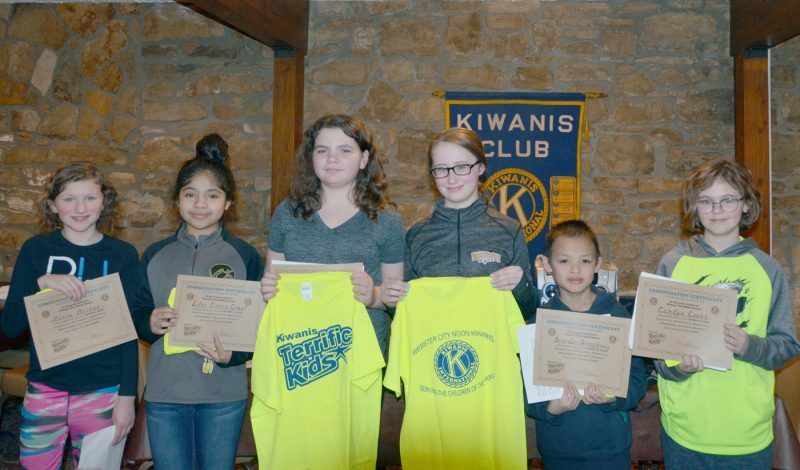 The Williams Development Easter Egg Hunt will be held at 10 a.m. in the the Williams City Park. 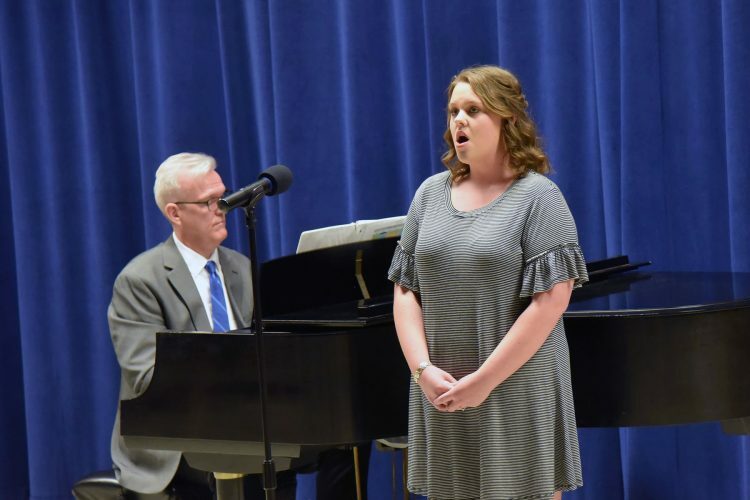 Soprano McKenna Mitchell of Webster City performs the solo “If I Loved You” from “Carousel” at the Des Moines Area Community College Ankeny Campus Spring Concert. 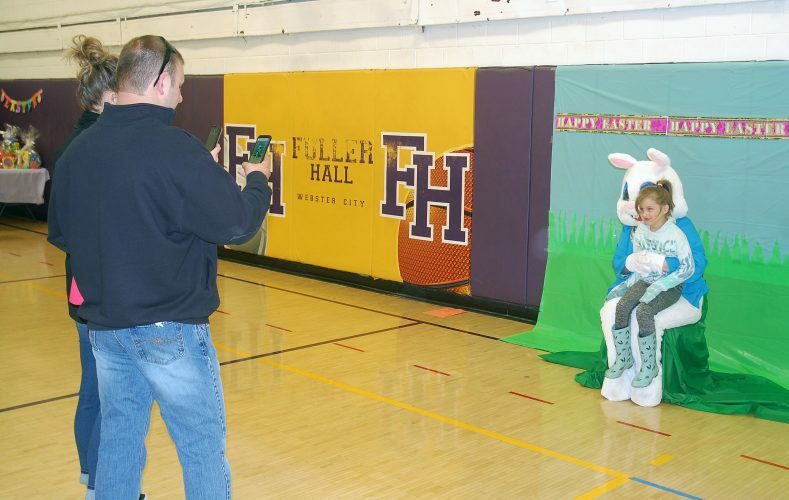 The Webster City Easter Egg Hunt, hosted by Southfield Wellness Community and the City of Webster City was held Saturday morning at Fuller Hall. 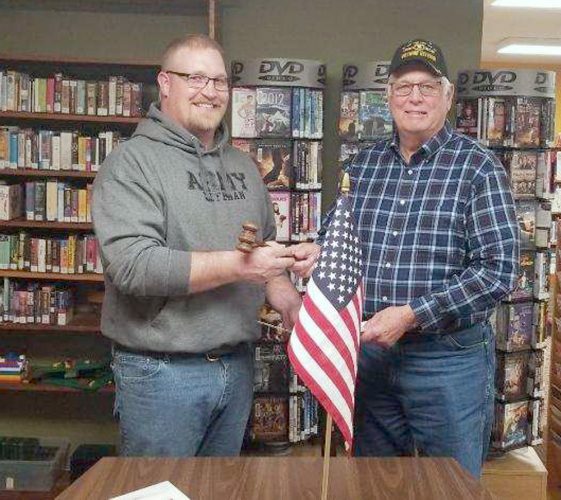 Williams Post 633 Commander Wayne Wahlert, passed the gavel to Derrick Greenfield at their annual meeting. 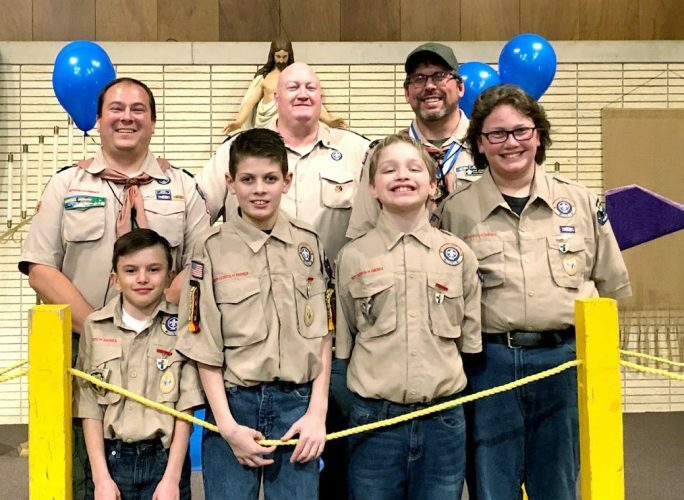 Wahlert, a Vietnam vet, had been Commander since 2012. Greenfield, an Afghanistan veteran, is the new commander of post 633. 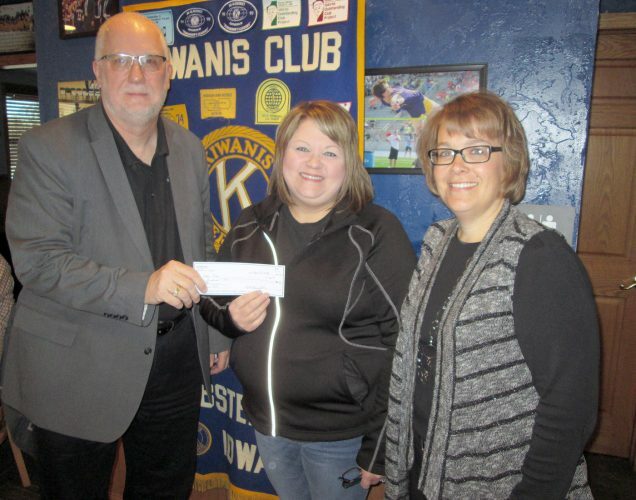 Michelle Casady and Amy Lampman presented the program on Webster City High School after prom at the Main Street USA Morning Kiwanis Club Tuesday.Following the program, the club presented the women with $300 for after prom. 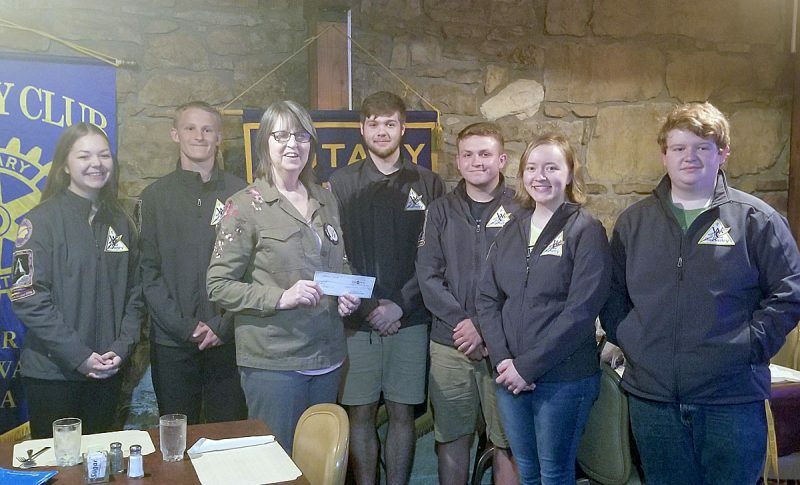 Above, John Boughton presents the check to Casady and Lampman.